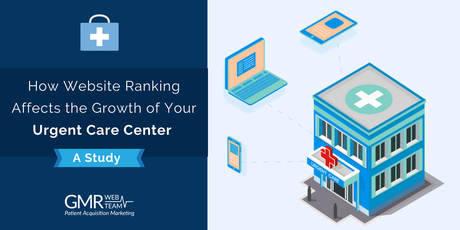 As most patients are now taking the internet route for finding urgent care centers in their time of need, it’s crucial that your practice ranks on top of the Google Search Engine Result Pages (SERPs) to attract most of that patient traffic coming from the internet. This is not an assumption, but a fact! A closer examination of patient activities on Google’s SERPs suggests that most patients tend to visit websites of those healthcare practices which are ranking not just on the first page but also on a higher position on it; from 1 to 4. Be it their laziness to scroll down the page to check other results, or their hurry to find a nearby treatment center (as is the case with most urgent care patients), the fact is that your chances of acquiring most of these patients are only as high as the position on which your practice ranks. 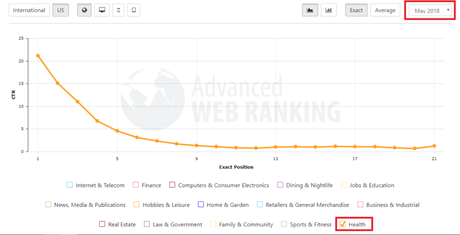 Click-through rate for position 1 is 22%, position 2 is 14%, position 3 is 12%, and position 4 is 7%. 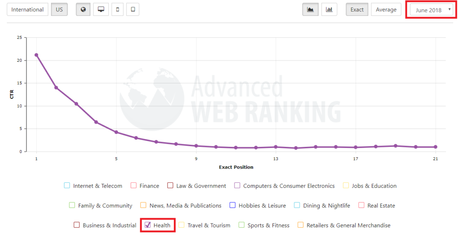 In total, 55% of CTRs in April for health-related keywords were for those links that ranked on positions 1 to 4. (Location name) – It’s the name of the location that we are targeting for our urgent care client. In March 2018, when these keywords were ranking relatively lower (on position 4-5), the estimated site traffic would be 70 for “urgent care services,” 1-2 for “(location name) walk-in urgent care,” and 5-6 for “(location name) walk-in clinic.” In total, an estimated 76-78 website visits from patients who were using these three keywords for finding immediate care. After three months, in June, when we had the improved ranking status (to position 1 and 3) for the three keywords, the total website visits from patients were estimated to be 241-243; a total percentage increase of 211% in patient visits to the website. As you can see, after we improved our client website’s ranking for their targeted keywords, site’s traffic and goal conversions also increased. The percentage increase of 38% in website traffic and 30% in goal conversions is not parallel to what our hypothesis suggested, but that’s because the hypothesis was considering only three top keywords while the exact data is for all the keywords that our client was (and is still) targeting. 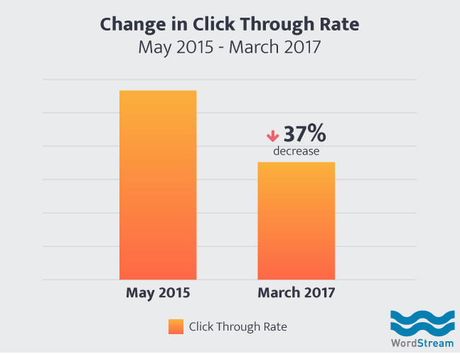 That way, the findings related to click-through rate by positions (as shown by data from WordStream, Advanced Web Ranking, and our hypothetical study) can be considered to be near to accurate. This means that urgent care practices need to focus their efforts on targeting the right keywords and more than that, ranking on top for it to get the best results from the internet. 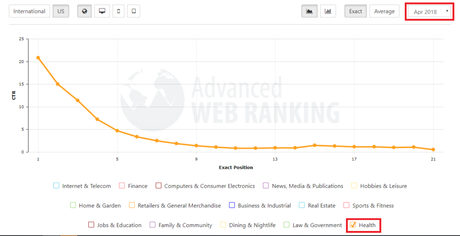 The primary reason associated with this is the increase in distractions caused by newer SERP elements, such as; increasing number of ads on top position—just last year Google increased the number of top ads from three to four; and, different SERP features such as local packs, featured snippets, People Also Ask, etc. This means that a good percentage of user clicks are shared by these SERP features. In that scenario, urgent care centers should focus on appearing on all these newer SERP features along with holding on to their coveted #1 organic position. 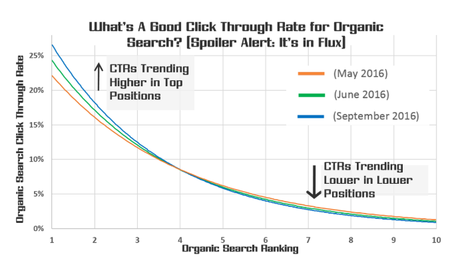 Increase in click-through rates through any of the SERP features would ultimately add value to the organic ranking of your site, which should help in (maybe) keeping the #1 organic position firmly acquired, while also leveraging from other SERP features.